The trailer for Crossing Over. Immigrants from around the world enter Los Angeles every day, with hopeful visions of a better life, but little notion of what that life may cost. Their desperate scenarios test the humanity of immigration enforcement officers. In Crossing Over, writer-director Wayne Kramer explores the allure of the American dream, and the reality that immigrants find – and create -- in 21st century L.A.
Kramer's intersecting stories, both cathartic and tragic, are brought to life by an international ensemble. The film stars Academy Award® nominee HARRISON FORD, Academy Award® winner SEAN PENN, RAY LIOTTA, ASHLEY JUDD, CLIFF CURTIS, JIM STURGESS, ALICE EVE, ALICE BRAGA, JUSTIN CHON and SUMMER BISHIL. 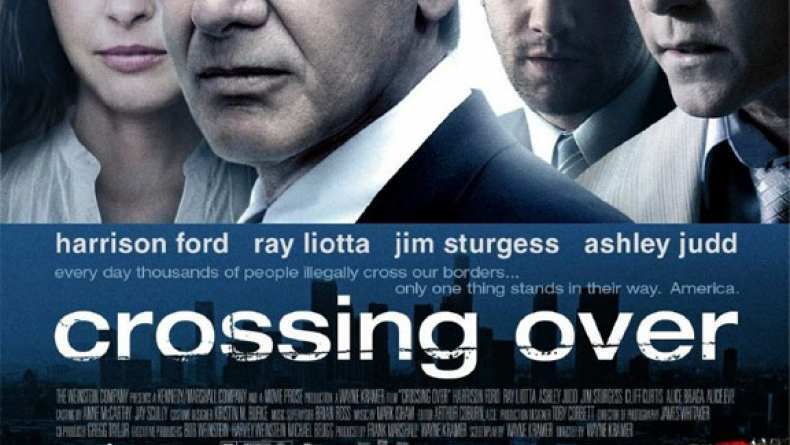 Crossing Over is a Weinstein Company presentation being theatrically distributed by Metro-Goldwyn-Mayer Studios Inc. (MGM). Frank Marshall is producing Crossing Over for The Weinstein Company. Michael Beugg is executive producer and Gregg Taylor co-producer.